Before GIA created the 4Cs of Diamond Quality and the International Diamond Grading System™, there were as many ways to describe diamonds, as there were methods for evaluating their quality. Creating a common language for diamonds. The 4Cs and the GIA International Diamond Grading System™ provide a consistent way to describe a diamond’s characteristics. 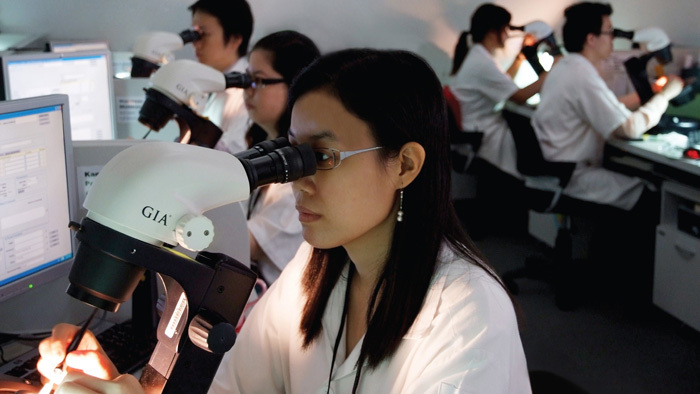 Establishing the methods and best practices used to grade diamonds. 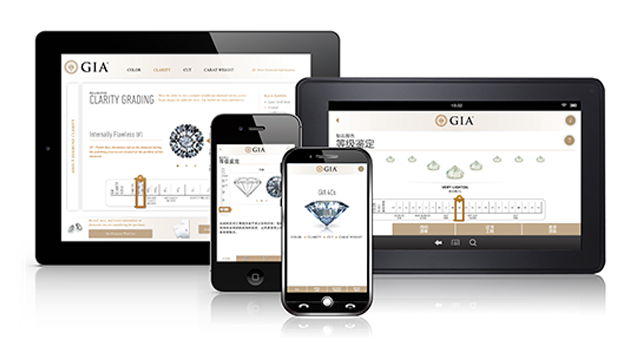 Issuing the first GIA Diamond Grading Report, as a way to consistently and accurately communicate grading results. 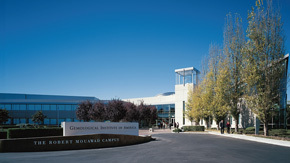 GIA’s innovations have been adopted universally. In every corner of the world, virtually every diamond is described using the language GIA developed. The GIA Diamond Grading Report contains scientifically determined information on diamond shape, color, cut, clarity, carat weight, proportions and finish. It also identifies any known treatments. Other reports from other entities have since made their way into the marketplace, but GIA is recognized as the original and unrivaled source for accuracy and integrity in diamond grading. The GIA Diamond Dossier® is a more concise, compact version of the GIA Diamond Grading Report and is available for diamonds that weigh between 0.15 and 1.99 carats. This report includes all the important 4Cs grading results as the Diamond Grading Report, but does not include the plotted diagram. GIA also offers online-only reports with full 4Cs grading results: the GIA Diamond eReport and the GIA Diamond Focus™ Report. As an added security measure, GIA also offers optional laser inscription with its reports (included with the Diamond Dossier and Diamond Focus Report) where the diamond’s report number is inscribed on the diamond’s girdle. GIA can also inscribe customized messages, dates, text and symbols that not only personalize a diamond, but allow for easy identification.